Hey: Thanks for stopping by. 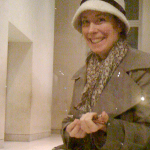 Metadrawer is me, Helen Frost: Artist/Architect/Fire dancer/Freelancer. Metadrawer is a blog of my reflections on drawing. I draw to think, to explain, to communicate, to record, to understand and to express myself. I hope that you will find more questions here than answers and more connections than destinations. The best things I have learnt have challenged my assumptions and given me new ideas to think with; I hope I can do the same for you. I am looking for a way to figure out what questions I need to ask, and a way to organise all that information into something meaningful. I post about the things I am curious about or questions that I have been asked. The reasons are often more revealing than the answers. Draw[er]: to make a picture of something or someone, especially with a pencil. Metadrawer is a short cut and an intriguing diversion.